Building and maintaining good credit is a key component of a person’s financial health. Not only does it make it easier to buy a house or obtain a car loan, these days, it’s often a prerequisite to signing a lease, securing a job, or landing a great cell phone plan. The problem is, most people have never taken the time to review their credit report because they don’t know how. Thankfully, companies like Credit Karma make it easy to keep your credit in great shape. Credit Karma is a personal financial company that started in the U.S., in 2007. In recent years, they’ve expanded into Canada. 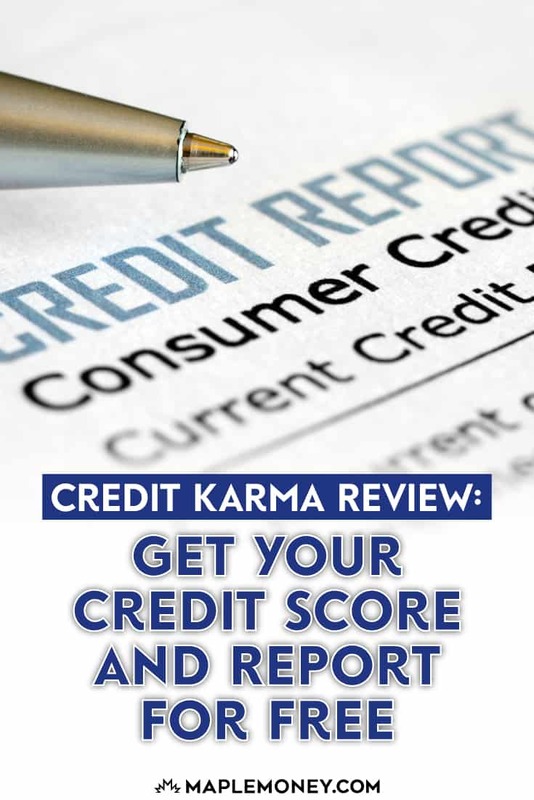 Amongst other things, Credit Karma provides its members with free access to their TransUnion credit bureau report and provides regular updates as well as recommendations on how they can better their overall credit score. Credit Karma makes money from affiliate partnerships with lenders and other personal finance companies. In other words, when customers apply for credit cards and loans advertised through their website, Credit Karma receives a referral commission. With Credit Karma and similar companies like Borrowell, it only takes a couple of minutes to sign up and receive a free credit score and report. In this article, I’ll show you how you can do that, but first, let’s take a look at how your credit score is measured. Your credit score is a numerical summary of all of the information reported to the credit bureau from your various credit providers. The 3-digit number allows lenders to assess your level of creditworthiness, without a detailed review of your credit report. For an in-depth look at what makes up a credit score, check out my full article on this very topic. If your credit score is less than ideal, there are ways that you can improve it fairly quickly. The most important thing is to make sure you have no unpaid collection items, and that any arrears on active accounts are brought up to date. By signing up for Credit Karma, you’ll be able to quickly identify areas that require attention, while their recommendations to improve your credit are also very helpful. With Credit Karma, the signup process is simple. When you arrive at their website, select the ‘signup for free’ button in the top right-hand corner of the homepage. From there, you’ll be led through a 3-step process to create a password, provide your personal information, and confirm your identity. You’ll then be given the option of receiving regular updates on your credit report via email. Once registered, you’ll receive your TransUnion credit score and report. Will Signing Up With Credit Karma Hurt My Credit Score? The answer is no. You may have heard that whenever you apply for credit, there is a negative impact to your score, and that is true. Your bank or financing company will make what’s called a ‘hard inquiry’, which is captured by the bureau and results in a small drop in your overall score. The more hard inquiries made within a short period of time can be detrimental to your creditworthiness, as it’s an indication that you are actively seeking credit, which isn’t always a good sign. Using Credit Karma will not hurt your credit, because unlike when you apply for new credit, they use a ‘soft inquiry’. Soft inquiries have no impact on your score. 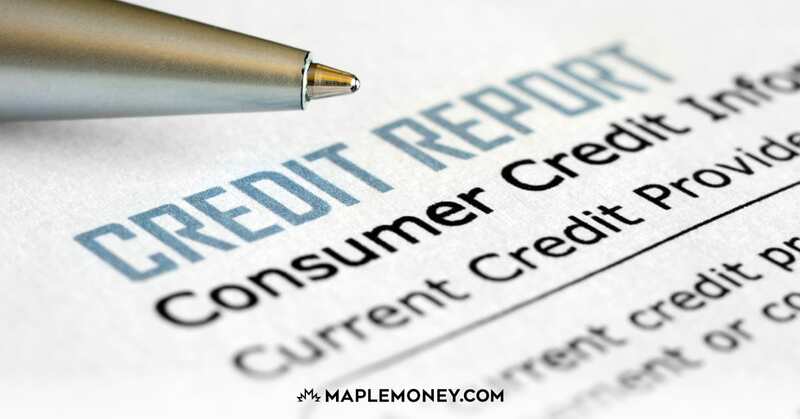 I should note, there are times when it’s completely reasonable to make multiple credit inquiries within a short period of time, but these can usually be explained. For example, if you’re shopping around at different banks for a mortgage, or are in the market for a new car. During these times, it’s understandable that you might make a credit inquiry from more than one institution. Borrowell is another personal finance company from which you can obtain your free credit report, and it’s who I use on a regular basis. In essence, the two companies offer the same service, with the main difference being that Credit Karma pulls your credit information from TransUnion, while Borrowell accesses your Equifax credit score and report. Equifax and TransUnion are the two primary credit bureaus used in Canada. Most banks and credit unions report information to both bureaus, however, some only use one, and not the other. Because of this, and the fact that the two bureau’s use different software to calculate your score, there may be slight differences between your Equifax and TransUnion score, but they are usually very close. The most important thing is that you’re staying on top of your credit report from at least one of the two bureaus. But since you can access either one for free, through Credit Karma and Borrowell, why not check both? 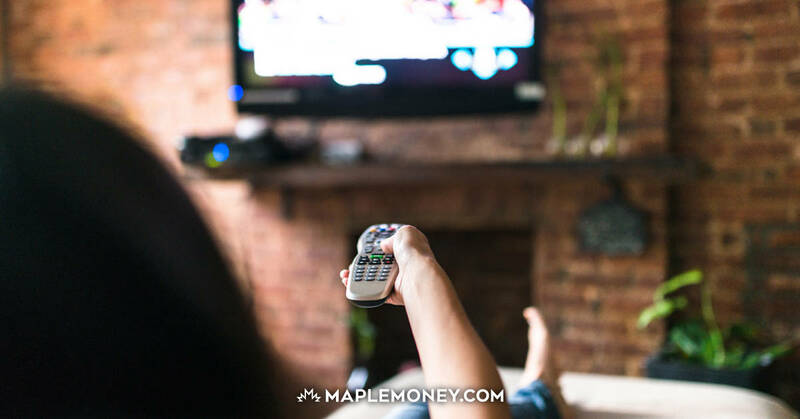 With the advent of mobile banking, Canadians have unprecedented access and control over their finances. With companies like Credit Karma and Borrowell, that includes managing your own credit score and reporting. My recommendation is that you should absolutely sign up to receive your credit report from at least one of the two companies. In fact, it wouldn’t hurt to sign up for both, to keep an eye on both credit bureaus.  You can sign up for Credit Karma here, or use my exclusive link to get your FREE credit score from Borrowell. Or, you can do both. Remember, the service is free, you’ll receive regular updates and recommendations, and there is absolutely no impact to your credit score. Regular access to your credit report will also help you identify any potential errors or security issues, and have them corrected before they cause a problem.